We are a little late on this one (sorry but Kona coverage is keeping us VERY busy) but yesterday Dimond announced their new Marquise Disc Frameset. Back in January we took our first deep dive into Dimond’s premier bike when it was rim brake only. Now we get a choice of rim or disc. The Marquise Disc provides the same integrated Lunchbox and TOTES storage compartments as the rim brake version, providing plenty of room to fuel and support 112 miles through the lava fields on race day. The LunchBox (as they named it) is an easily accessible 700mL of dry storage that can easily fit 1,500 calories. The pop-up magnetic latch on the Lunchbox allows complete access inside of the box. Those times you have grabbed the wrong gel as you reach around inside your bento box will be a thing of the past with the large opening the LunchBox provides. And for your tools and flat kit, Dimond gives you TOTES (Tools or Technical Equipment Storage). TOTES is molded directly into the frame in the lower portion of the bike, just above the crank. Dimond designed it to hold a flat kit and multi tool, as well as anything else you might need while stopped on the side of the road. 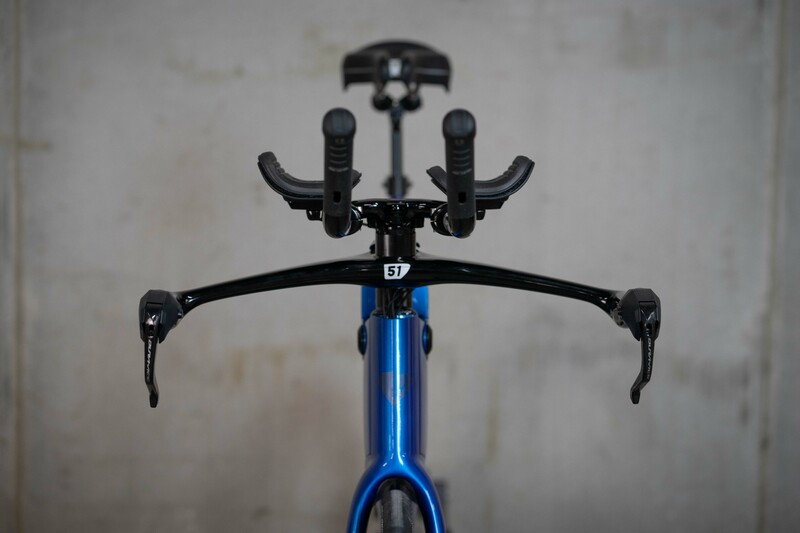 The frame utilizes the 12 mm thru axle standard, which provides increased stiffness and power transfer through the bike, resulting in a big improvement in overall ride quality and easier wheel installation and alignment. The calipers use the flat mount standard, providing plenty of options for wheel and brake compatibility. 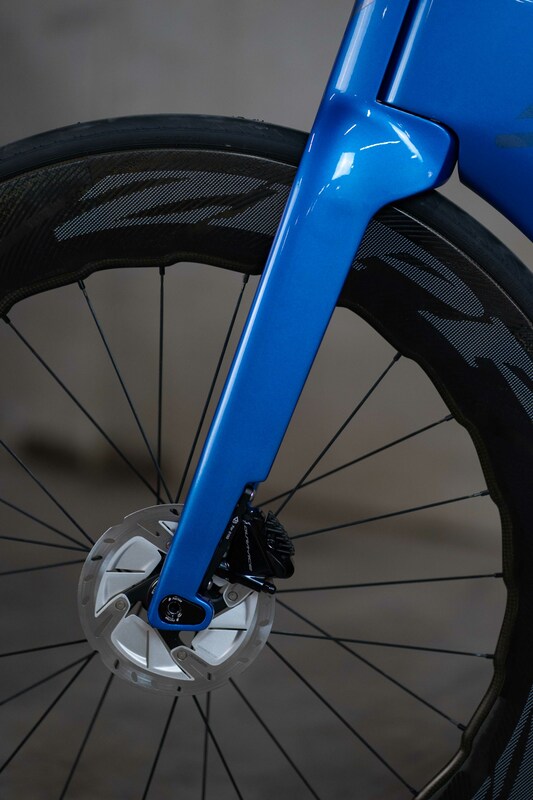 The frame and fork have been designed to offer plenty of tire clearance as we move in to an age where wheel manufacturers are unbridled by brake tracks. And of course, the brakes perform at a high level in any weather conditions. TJ Tollakson, Dimond Bikes CEO said “The Marquise Disc is a big step for Dimond. It’s our first foray into the disc technology, but our team of engineers has grown comfortable operating on the leading edge. Our focus as a company has always been on developing cutting edge products and catering to our customers’ needs, and we’ve really hit the nail on the head in both of those categories with this bike. 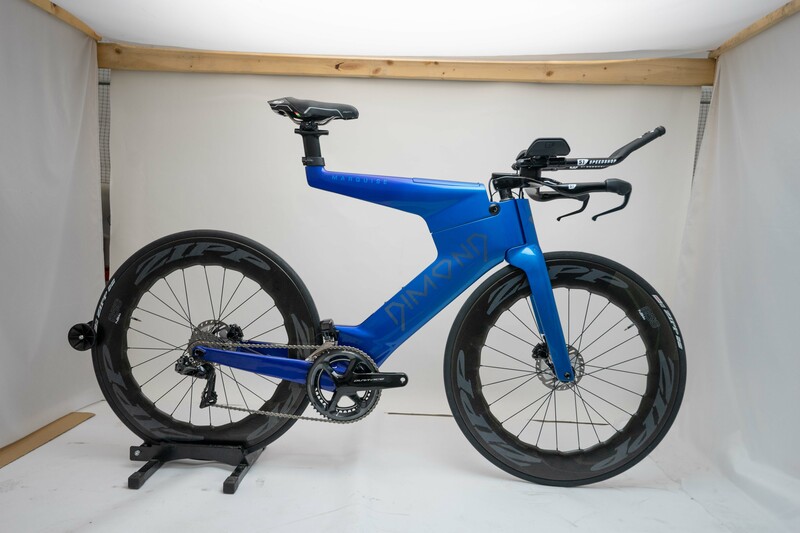 Our athletes will be getting to T2 faster than ever.” TJ will be racing on the new model at Ironman Arizona in November, five years after Dimond first debuted their bike at the same event. The new frame will be available for demo rides in Kona leading up to the race, and at race expos for Ironman Florida and Arizona. 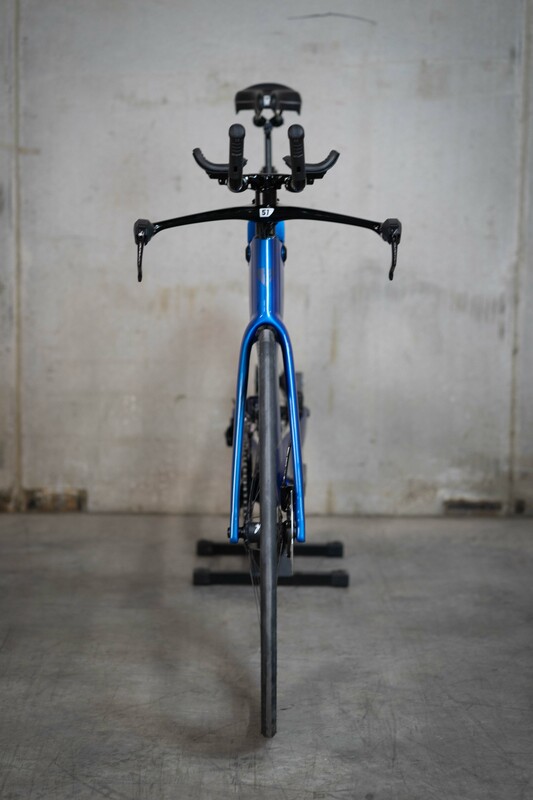 The frameset is available for $7499, which includes custom paint. Race, Premium, and customized a la carte build options are also available. DImond Bikes are available exclusively at www.dimondbikes.com. There is little question that discs have become the predominant change in the industry for 2018. 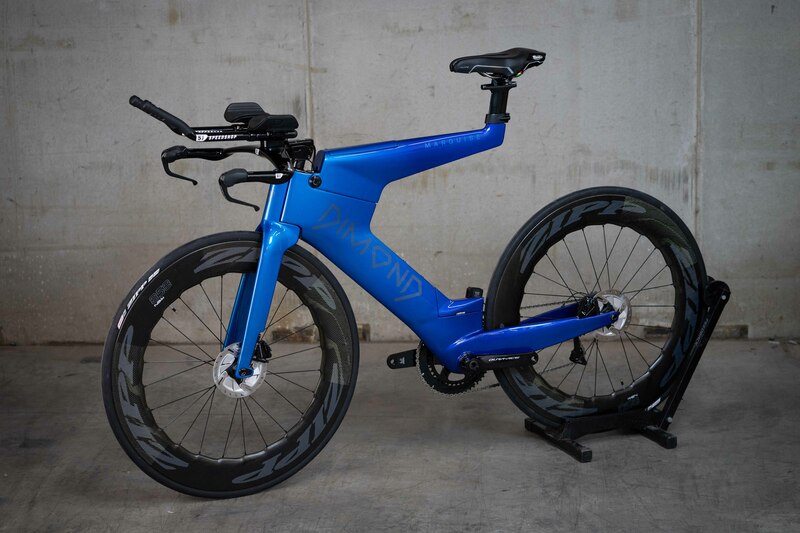 And for those looking for disc brakes and a custom painted beam bike – their one stop is going to be Dimond. We haven’t yet gotten a chance for significant ride time on a disc or rim brake equipped model so we will hold our opinions for now. Though we do have to say that we would have liked to see them enlarge the nondrive side chain stay for some hiding of the brake calipers. Stay tuned to AeroGeeks.com for more Kona coverage and the latest from the athletes village!